This job we worked closely with Sayfa to deliver the client a Safe Working Solution for this high quality renovation. The building has heritage status so we needed to be selective about the visual aesthetics of the products used. 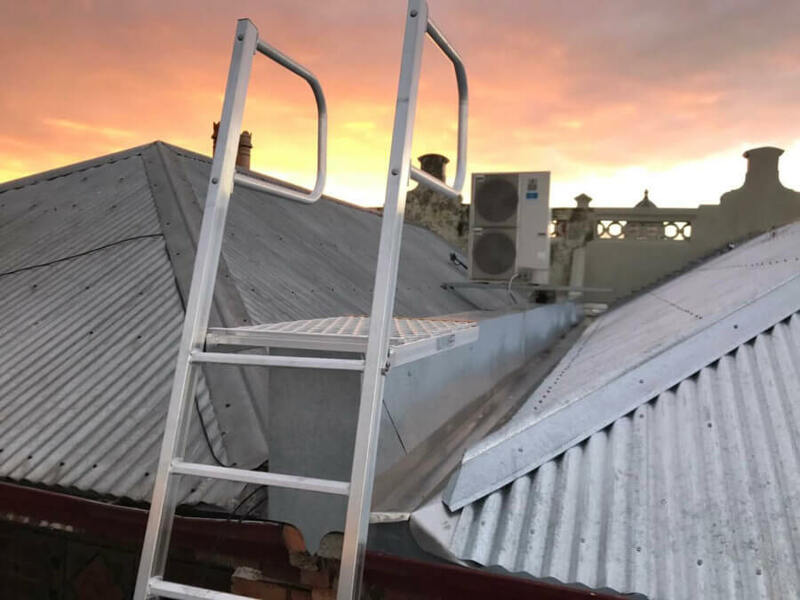 We used ladder brackets to gain access to the roof via a portable ladder with an Anchor point and a Strop sometimes called First Man Line. 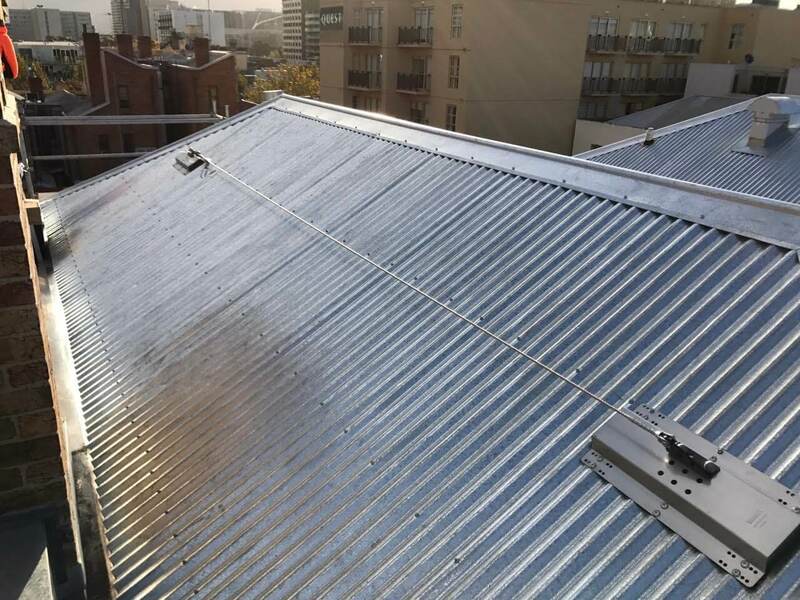 This enables the user to attach to the Strop with his/her harness before stepping onto the roof. 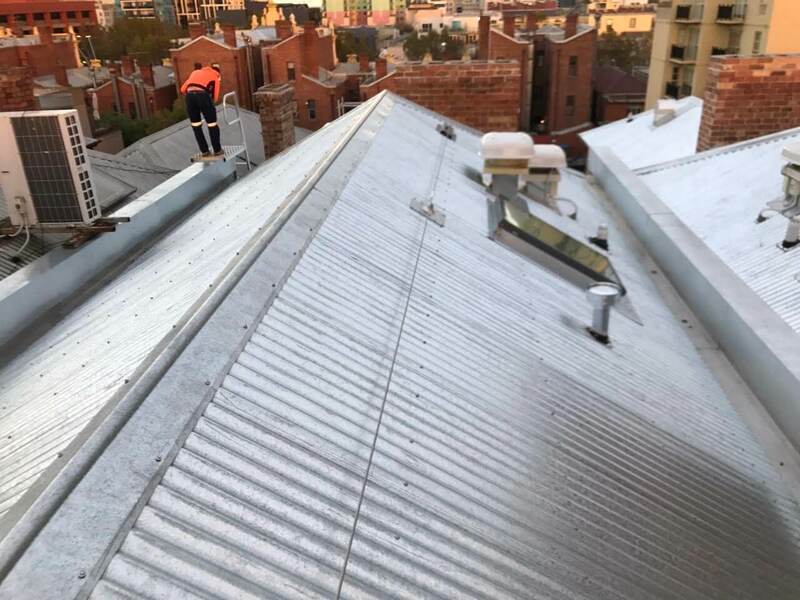 Static lines were used to make it easy to move across the roof with out having to disconnect from the line. Small ladders and platforms were used to ensure safe access and egress from the different levels on the roof. If you have any questions about this project or others please don’t hesitate to get in touch.